All-natural smoked duck breast made from Moulard duck, humanely raised with no antibiotics or hormones. Fully-cooked and ready-to-eat our duck breast is smoked over real wood chips and made without any preservatives, nitrates, nitrites, fillers or artificial flavors. Serving Tips: Our ready-to-eat smoked duck breast is super versatile. Besides making an excellent addition to any charcuterie board or cheese plate, the thinly sliced smoked duck breast is wonderful in sandwiches, on salads, or simply eaten as a snack. Slice the breast very thinly against the grain. Slicing at an angle will yield pieces with more surface area. 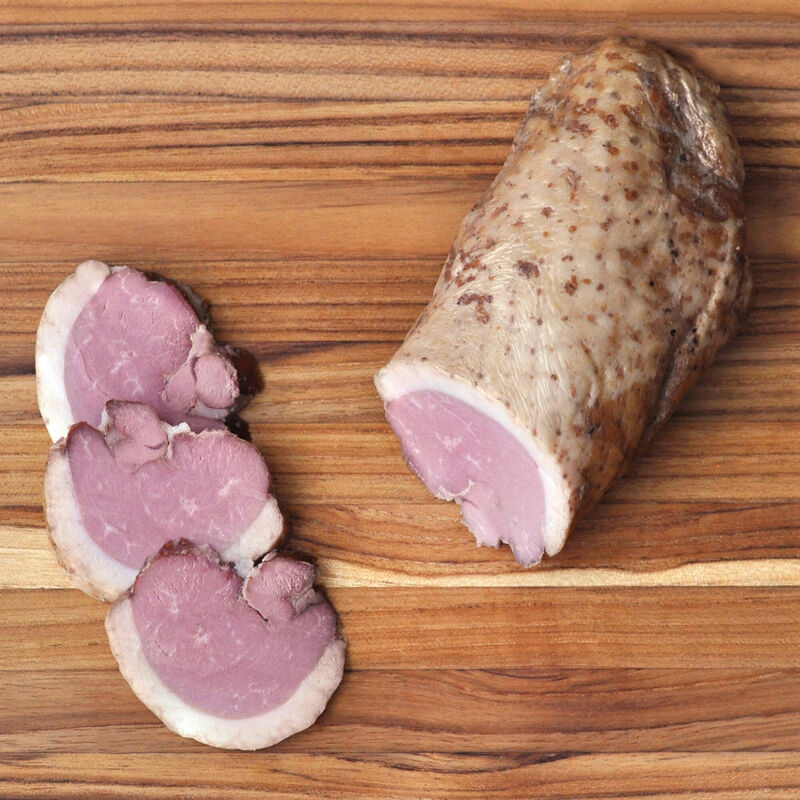 Smoked duck breast can also be cubed and added to pasta, soup, rice dishes, and vegetable sides.